Why Become a Master Naturalist? 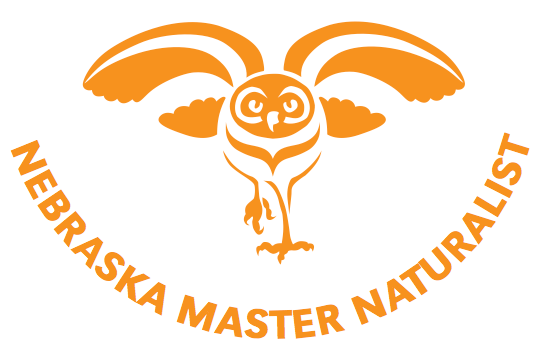 What is the Nebraska Master Naturalist Program? The Nebraska Master Naturalist Program is an adult conservation and environmental education program that combines indoor presentations and hands-on field experiences to teach conservation volunteers about Nebraska's natural resources. Certified Master Naturalists and Naturalists-in-training are recognized across the state as dedicated natural resource conservation volunteers who provide volunteer service through a variety of skill sets. How Do I Apply to Become a Certified Master Naturalist? We are currently looking for individuals statewide with a variety of talents and backgrounds who are interested in dedicating time to conserve Nebraska's natural resources. - Application and Background Check: Applicants must be at least 19 years old and be able to pass a background check. For more information about the application process, including fees and a liability release form, please click here. - Interview: The interview process is a way for us to get to know you, to make sure you fully understand the program expectations, and to determine if the Master Naturalist program is a good fit for your schedule. What Does It Mean to Become a Certified Master Naturalist? - Complete an application and interview and pass a background check. - Complete 60 hours of in-depth training. There are several formats available for training. For a training schedule and list of fees, please click here. - Volunteer at least 20 hours of conservation service after the completion of training. You have one year from the conclusion of your training to complete and report volunteer hours. - Annually complete 8 hours of continuing education. This can be done through a habitat restoration project, youth mentoring program, environmental education program, as a citizen scientist, or other areas of interest in the natural resources field.  What If I Already Know About a Topic, Should I Still Take the Training? Yes! Master Naturalists are landowners, teachers, professionals, guides, college students, parents, retirees, and role models. Most individuals that come into our program know a thing or two about something and are able to share their skills and talents with the rest of the community. This program will introduce you to some new organizations, facilities, and network you with some of the best natural resource professionals and volunteers that our state has to offer.  Nebraska's scientists, naturalists, faculty, and natural resource professionals will guide you through the natural wonders of this state and teach you the skills you need to become a certified Nebraska Master Naturalist. Where Can I Volunteer Once I Am Certified? Anywhere that uses highly qualified volunteers! As a certified Nebraska Master Naturalist, you will be connected with volunteer opportunities at universities, natural resource agencies, and non-profits throughout Nebraska. These opportunities will be provided to you through the Master Naturalist listserv, as well as available through our member program websites. If you have a specific place that you prefer to volunteer, let us know so that we can consider them for our list of Program Partners. What Can I Do as a Master Naturalist? The opportunities are endless. They include habitat restoration on private or public land, citizen science (i.e. breeding bird surveys), environmental education at a nature center, volunteering in a park or zoo, eco-tourism, mentoring of youth hunters and anglers, outdoor cooking, geocaching, and so much more. Visit our partner websites to view more natural resource volunteer opportunities. If you want to know more, please call 402-937-8601. We look forward to hearing from you!